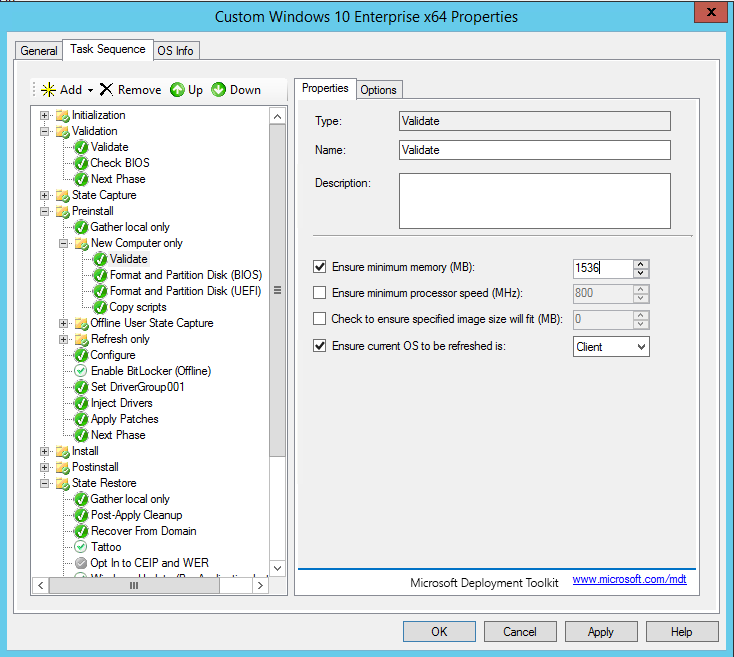 So, you are about to deploy Windows (client or server) using Microsoft Deployment Toolkit. Before you do that, maybe you should change the Validate Action, why? Because the default values does not make sense to everyone, that’s why. The Validate Action is a step in the Task Sequence that verifies that the machine you are about to install are good enough to be deployed. the defaults are a bit “wrong” for most customers IMHO. 768 MB is just wrong, a Windows 10 machine will need at least 2 GB (x86) or 4 GB (x64), so that means you should set them to 2048 or 4096, no, not at all. You need to calculate on the GPU RAM as well, since that is most likely “stolen” from RAM. So a 4 GB machine is 4096 MB – 512 MB (GPU Memory = 3584, set it to 3500. A 2 GB machine is 2048 MB – 512 MB = 1536 MB, set it to 1530. This is a bit tricky, depending on power saving features and the fact the machine is virtual, this could block OS install, even if it is correct. But, there is very few machines with 4GB of ram with a slower CPU then 800 MHz anyway, so checking memory. should be fine. This check does not happen unless you check it, and maybe you should, if you are using Multicast the image will first be copied to the disk and then it will perform the install, in that case you actually “need” space, consider to change that. This checks the OS on the disk before installing/refresh, well it make sense in most cases, however, when you are playing and testing you could have a laptop that is used for both client and server OS test, in that case you need to uncheck. 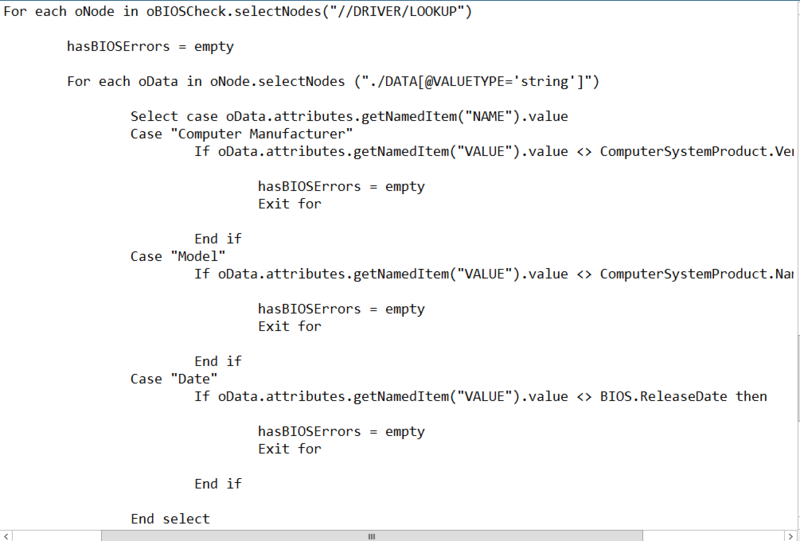 Below you can see the default values. 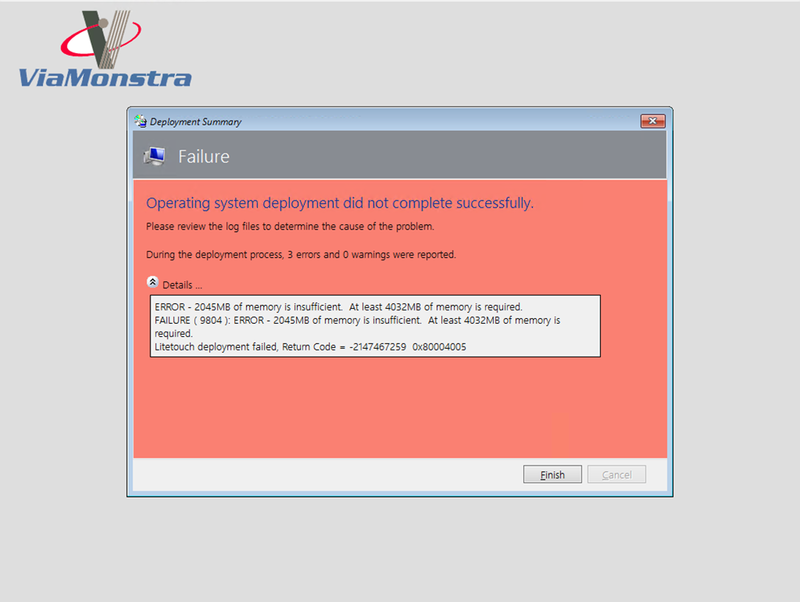 Here is the result if the validation fails, due to insufficient memory. One other fun thing is the Check BIOS action, when I ask around I usually get something like – Well it checks the bios, you know. 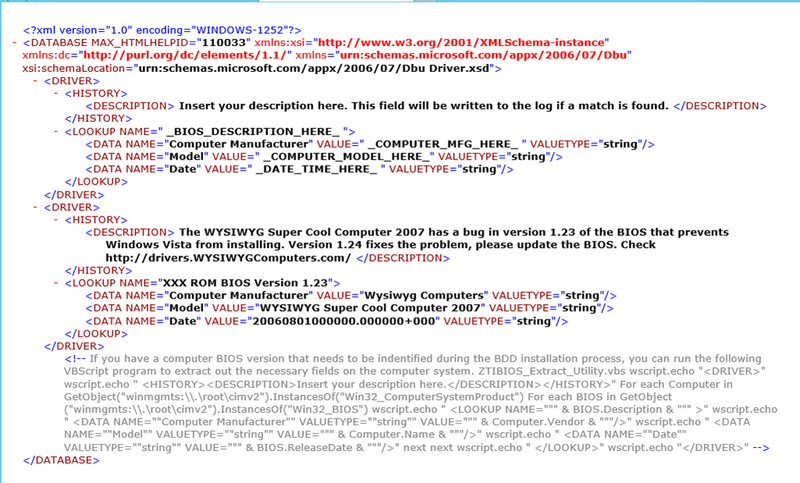 Not really, it is a script that runs to gather information a bout the bios, that is correct. It then uses that information against a XML file to see if it is a match, it there is a match, it will then block OS install. But the question is, what does it really check? 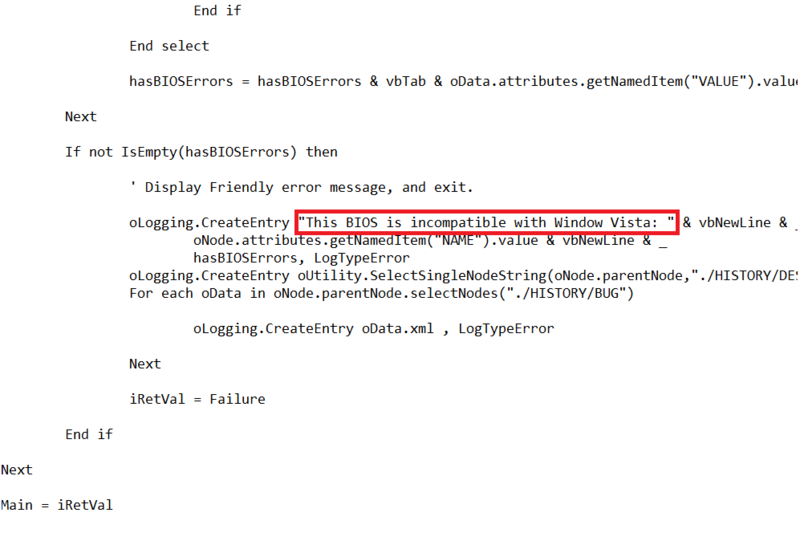 What you could do is to add computers to the XML file to block installation if you know that a certain model/bios will not work correctly. 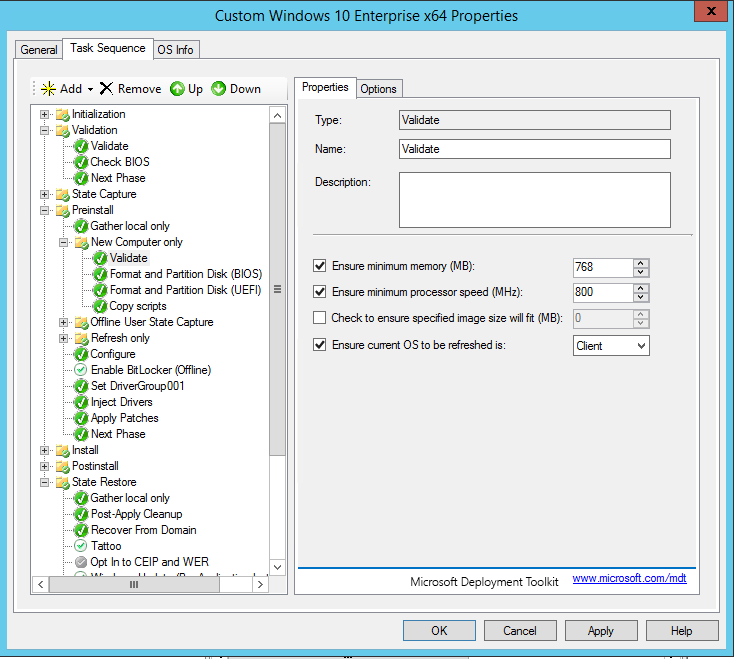 Nice to Know – The MDT documentation is gone??? I am one of your fans, really learning a lot about deployments from all of your blog posts. Actually I looked into this part of the TS by accident today, because I am looking into how to use HP’s CONREP tool to automate configuring BIOS settings. Is this something you have toyed with? How and when in the TS would you to this? I am thinking as soon as possible, differentiating between various ProLiant DL 380 Generations.